The Realme U1 has officially gotten launched in India, with its highlights being a 25MP selfie camera and MediaTek Helio P70 processor. The handset is the first device to run on the octa-core SoC whose key features include a 2.1GHz speed and ARM Mali-G72 GPU. 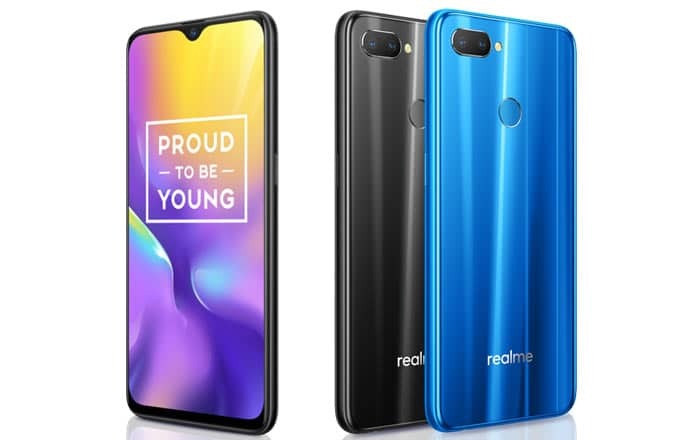 Realme is a spinoff brand from the house of Oppo, focusing on the youth market by offering mid-range specs at entry-level prices. The Realme U1 kicks things off at Rs 11999 for its 3GB of RAM and 32GB of ROM variant. The smartphone’s 4GB of RAM and 64GB of ROM model is priced at Rs 14499. Amazon India will be selling the Realme U1 starting from December 5 at 12 pm. Early bird offers include a 5% cashback on SBI cards, 4.2TB of Jio data, Rs 5750 worth of Jio benefits, and No Cost EMIs. The company also took some time out to launch its new Realme Buds and Iconic Case. Realme is asking for Rs 499 for each. The headphones have 11nm drivers for superior sound quality, as well as a magnetic switch design with Kevlar fabric. Getting back to the handset, it looks similar to the Oppo F9 and F9 Pro thanks to its large 6.3-inch screen with a waterdrop notch. The new device even has a 25MP selfie snapper. The lens allows for AI Face Unlock and promises to take good quality night-time shots through multi-frame noise reduction, Hybrid HDR, 4 in 1 Pixels technology, and a large 1.8um pixel size. The Realme U1’s Beauty Mode has apparently been optimized for Indian skin tones and eyes.